HomeBlogColor MeasurementWhat is CIE 1976 Lab Color Space? 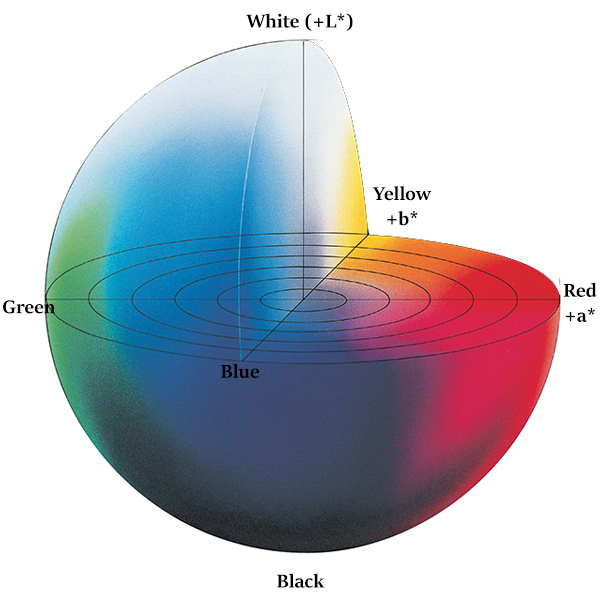 The CIE 1976 L*a*b* color space (also referred to as CIELAB) is one of the most popular color spaces for measuring object colors. It was defined by CIE in 1976 for color communication and is widely adopted today in many industries for color control and management. 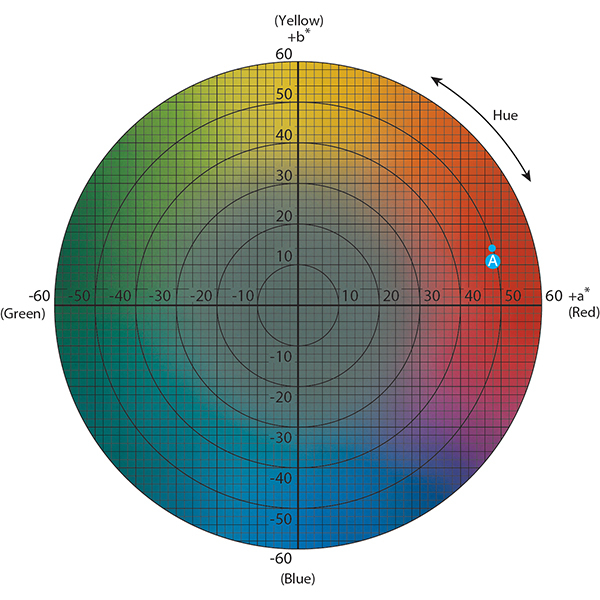 In the L*a*b* color space, L* indicates lightness and a* and b* are chromaticity coordinates. a* and b* are color directions: +a* is the red axis, -a’ is the green axis, +b* is the yellow axis and -b* is the blue axis. 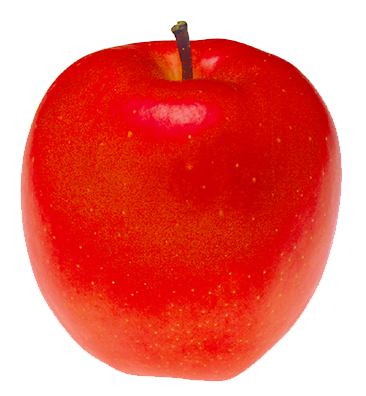 Plotting the a* and b* on the color space shows the chromaticity of the apple and the L* expresses the lightness of the color. The L*a*b* color space provides a precise color communication between a company and their supply chain to ensure products are made to exact color specifications. Color difference DEab calculate from the L*a*b* values of a master and sample provides an easy quality check. For more information, download a copy of Precise Color Communication or write in for a free consultation.